Elementary teacher interview questions that explore the competencies and skills required in this key teaching job. Prepare using the answer guidelines and be ready to impress in your teaching job interview. 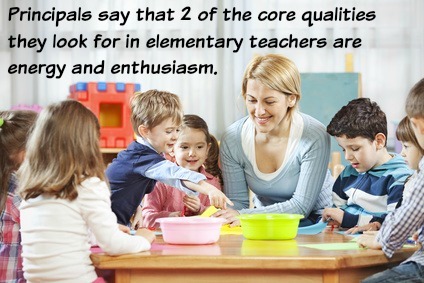 Key qualities that employers look for in teachers at the elementary level are enthusiasm and energy. Be positive and enthusiastic as you share your experience, knowledge and strengths with the interviewer. Prepare for your elementary teacher job interview using our excellent interview answer help. How do you deal with the different learning styles of your students? The important component in your answer is your ability to assess the best method for individual learning styles and to utilize it appropriately. How do you handle discipline problems in the classroom? How do you capture and maintain the attention of your students? Kids in the elementary grades can quickly lose interest and become disengaged during a lesson. Active learning and active listening that ensure the students are thoroughly engaged with the learning materials, the teacher and each other is one way to keep the class involved and focused. Discuss the type of activities you have developed to prevent dead time and to ensure students stay on track. How do you encourage positive and constructive parental involvement? Elementary teacher interview questions will include those that explore your approach to parents. It is necessary to work together with parents to optimize the learning and development of each student. Discuss the mechanisms you use to communicate with parents and keep them informed, the techniques you use to encourage their support, how you create an environment where parents feel welcome and their input is valued. How have you used technology to enhance your teaching? Provide examples of where you have effectively integrated technology into the lesson plan. Use you teacher portfolio to provide evidence of this. How do you evaluate the effectiveness of your lessons? It is important to know if a lesson is working or not. There are a number of recognized evaluation mechanisms you can highlight. It is important to discuss the steps you take if the lesson has not worked well. What do you do if a lesson does not work? What is the optimal design for a classroom in the elementary grades? 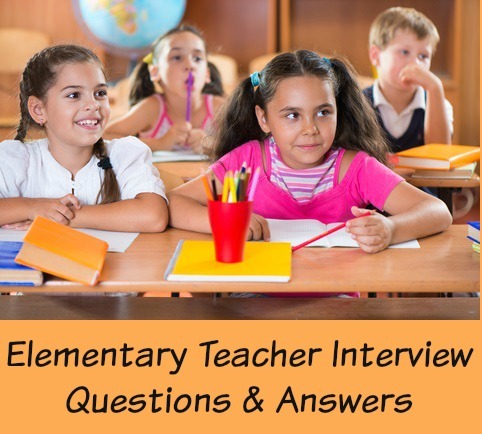 Elementary teacher interview questions that discuss classroom design are exploring a number of areas including your teaching style, your classroom management plan and your teaching philosophy. Describe the physical layout of your classroom and present floor plans from your portfolio. Discuss the reasons for the type of layout you prefer. What motivates you to be an elementary teacher? Expect interview questions that explore your personal motivation for the job. Have a convincing answer prepared and present yourself as a dedicated and passionate teacher. Think about all the things that motivate and energize you in the classroom each day. Make a list and formulate a persuasive interview answer. What strengths do you have that make you a successful elementary teacher? Elementary teachers are required to demonstrate a wide range of competencies and skills. Core competencies and strengths include organization and planning skills, communication skills, adaptability and flexibility, judgment and decision-making, problem-solving, creativity and initiative, energy and enthusiasm. This list of work-related strengths will help you answer this question. Why do you want to work for this school and district? Before you walk into your teacher interview you should know the specific requirements of the teaching job you're applying for and have sufficient information about the school and district. Research the school district's website to understand their goals, philosophy and mission. If the school has its own website learn about any special programs or services it provides. Find out the demographics of the elementary school and the community it serves. Use social networking sites to try and find out more about the school. Your interview preparation will help you to draw up a list of good questions to ask in your interview. Be ready with some insightful and meaningful questions. Use this sample list of questions to help you with this. 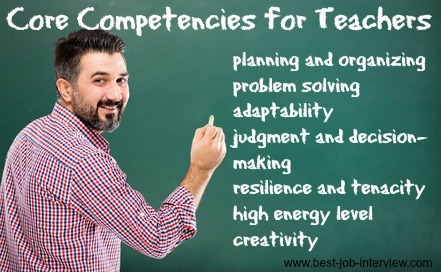 that explore the different competencies required of a successful teacher. What do you bring to a teacher interview? Be sure to bring sufficient copies of your resume, letters of recommendation and job references, your teaching certification and your teaching portfolio. Find out what to include in your portfolio and how to present your teacher portfolio in your interview.